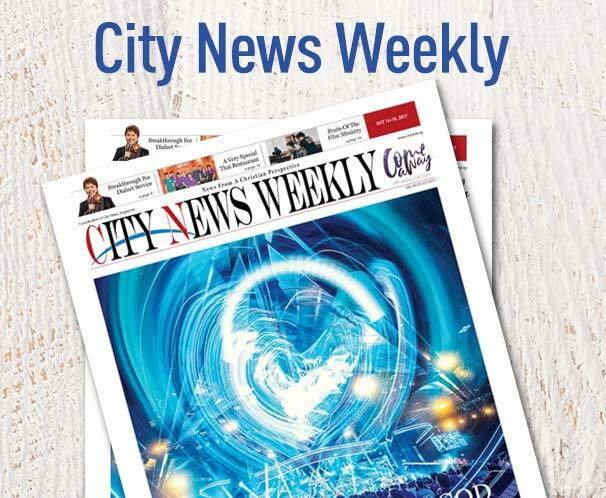 Last Sunday, City Harvest Church welcomed back to its stage a “son” of the house, Derek Dunn, a former executive pastor of the church before he obeyed the call to set up CHC in America, in Orange County, California, five years ago. Congregants on Saturday heard the latest “instalment” on the study of the Book of Numbers by Bobby Chaw. Throughout this year, Chaw has been preaching on the Book of Numbers, drawing teaching moments from each chapter. This time he took the people through Numbers 12. Earlier in their journey, the Israelites grumbled because of the difficulties they were facing in the dessert. In this chapter, Moses’ brother and sister were complaining because they envied Moses’ position. “Envy, in our culture, is a way of life,” said Chaw. In Exodus 20:17, Miriam and Aaron grumbled and spoke against Moses for two reasons. The first was that their youngest sibling had married a non-Israelite from Ethiopia. Instead of communicating their unhappiness to Moses, they chose to grumble between themselves. Chaw advised the congregation, that if anyone offends them, they should approach the person privately and resolve the matter. The second reason Miriam and Aaron grumbled was because they were envious that Moses was the leader. They felt that they were deserving of the same position and power as their sibling. “Envy is a reflection of fear and insecurity on the inside of us,” shared Chaw. In fact, Miriam and Aaron had nothing to be envious of, as they both had their own unique God-given gifts and talents. Miriam was a prophetess and worship leader, whereas Aaron was the first high priest in Israel and was highly eloquent in speech. He went on to share with the congregation that envy downplays everything that is positive. However, there is a cure for envy-driven grumbling: honor. He went on to stress the importance of being secure about one’s identity in God. Numbers 12:4, 6-8 recorded that Moses remained humble in the face of his siblings’ complaints. He could do that because he was confident of who he was in God. Because of that, the Lord fought for him. God came down in a pillar of cloud and defended Moses, and honored him for who he was. 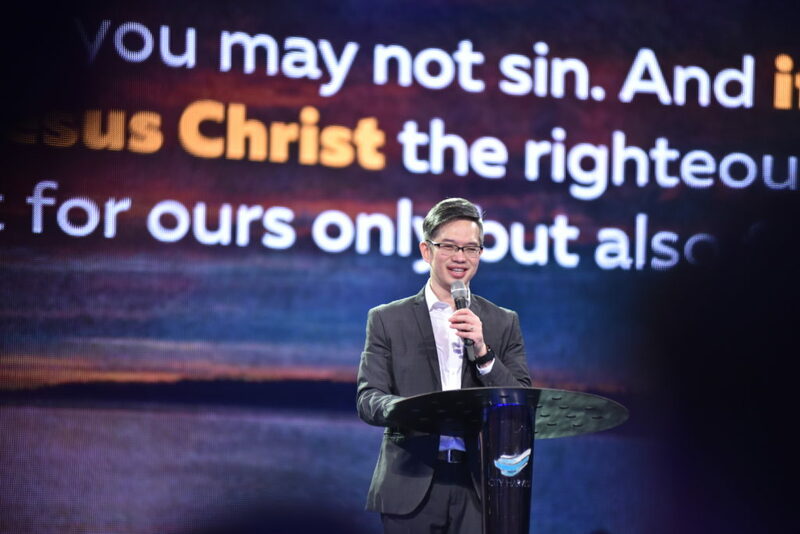 “When you can hold on to who you are in God even when others try to put you down, God will fight for you,” said Chaw. He then urged the congregation not to participate in the same sin of the grumblers, but to stay faithful and let God defend them. Because of her grumbling, God made Miriam leprous. Moses responded to this not by condemnation, but by honor and respect; he prayed for Miriam’s healing and restoration. “Fear destroys intimacy with God. 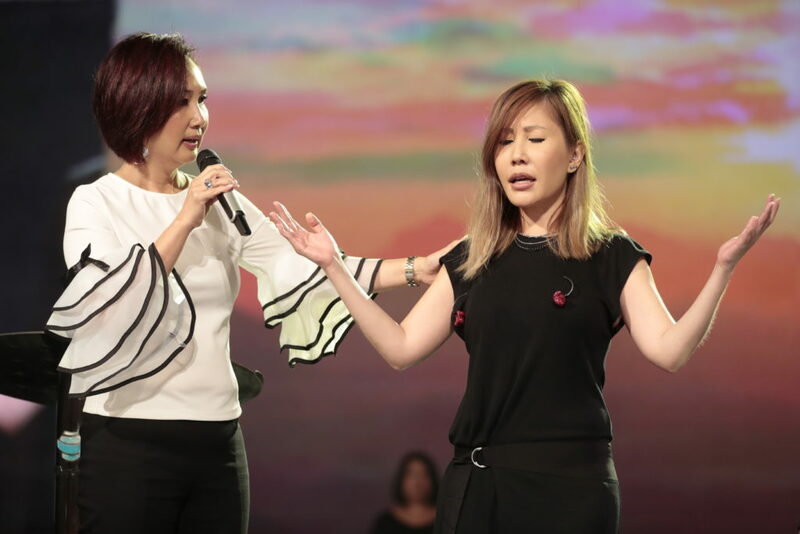 It makes you feel like you need to hide behind a false identity when you face both God and people, which in turn, affects all the relationships in your life,” Chaw said. This was exactly what happened to Adam and Eve. After they ate the forbidden fruit, Adam and Eve were uncertain of their position with God, and thus sought to cover themselves up. They thought that by covering themselves with leaves they could stand before the Lord. “But what God really wants is a relationship that is naked, meaning, you hide nothing when you come before Him,” the pastor explained. Jesus spoke about this fear in the parable of the prodigal son. In the parable, when the son wanted to return home, he was unsure and fearful. He did not know if his father wanted to see him again, since he had lost his intimacy with his father. Because of that, the son was uncertain about his significance and saw himself as a servant and not a son. The pastor then urged the congregation not to feel like they are not good enough, but to put aside fear and come face to face with the Father. Derek Dunn preached his first sermon at CHC since he returned to the US in 2013. He had been a pastor with the church for 16 years. The pastor explained that every Christian goes through “sifting” because that is how God brings them to another level. It is not be a fun experience, but the good news is that Jesus will always see His believers through the sifting. Using the illustration of a computer keyboard, the pastor explained that the “Shift” key turns a lower-case letter into a capital letter, and changes a number to a symbol. In the same way, God wants to shift His people up to the next level. He went on to give examples of Bible heroes who were sifted before they were shifted. Moses had an anger problem and God put him in the wilderness for many years before he could lead the children of Israel out of Egypt. David was the shepherd boy sent to the pastures, but God used that experience to sift him before He shifted him. David went through difficult seasons in his life—he was rejected by his brothers, and got his “training” protecting his sheep from lions. He went through all that because God intended for him to be a king. But one must beware staying too long in the wilderness. “God wants to shift us, so don’t get stuck in the sifting period,” Dunn preached. In Genesis 1:2, God says, “Let there be light.” “When God said ‘let there be light’, He was saying ‘I’m going to do a new thing, I’m going to bring about a new way’,” said Dunn. Light speaks of revelation. Dunn taught that God uses information to give illumination so there can be transformation. He encourage the church not to stop at collecting information, but ask God for illumination on how the information applies to the different areas of their lives. “God doesn’t want us to just be thinking about what is next. Because if we just want something that’s new, we might end up getting the wrong thing,” he said, adding that believers should be planted in the house of God; no roots can form if one keeps moving himself around. Dunn shared that believers often prophesy from mountaintop to mountaintop, but they fail to realize that in order to get to the next mountaintop, they need to go through the valley. There will be problems along the way that they cannot solve. “Understand that God is more interested in the process and making us the people that he wants us to be, than He is in just getting to the next destination,” the pastor reminded the people. God does not just want His people to come out of sin; He wants them to go into something better. When the children of Israel came out of Egypt, they were living by grace where God met all their needs. Yet they were walking round and round in the wilderness going nowhere. Some Christians preach that this is the Christian life but God intends for His people to enter the Promised Land. Distractions, disappointments and criticism are some of the things that prevent Christians from getting to their Promised Land. Dunn urged the church not to be caught up on these, but to keep doing what God wants them to do. The children of Israel put all the responsibility on Moses and wanted to follow behind him. God had to take Moses out of the picture before the Israelites could be raised up to be leaders. “What are the things that we are holding on to and putting our security on?” Dunn asked. God brought a new man to take Moses’ place, Joshua, because God knew that the Israelites needed a new way of living. Dunn preached that it is important that Christians learn to let go of the various things in their lives that are holding them back. They cannot bring their baggage into the Promised Land. “Men ask ‘What’s next?’ but God asks ‘Who’s next?’,” Dunn said, reminding the church that God is looking for men after His own heart. It is important to know God’s heart because before Joshua could lead the Israelites up into Canaan, the Promised Land, they first had to go down, through the valley that was Jordan. “The way up is the way down. We need to be humble and our hearts must be full of the pursuit of God,” said the pastor. Joshua and Caleb were not afraid of the giants in the Canaan because they knew God well and believed He would fight for them. Canaan spoke of the potential in the prophecy that God gave. A prophecy remains only a potential until a person moves. What stops believers from moving? “We fight something call a comfort zone,” Dunn explained. Joshua 3:1 says, “Early the next morning Joshua and all the Israelites left Acacia Grove and arrived at the banks of the Jordan River, where they camped before crossing.” Acacia Grove is a place of comfort, but God wanted them to get out of the woods. “It’s very easy to be a tree in the house of God, sitting next to the person that you are sitting next to this morning,” Dunn preached. “It is easy to be a Christian when you are surrounded by other Christians. But you can’t see the harvest field if you’re always looking at the trees. 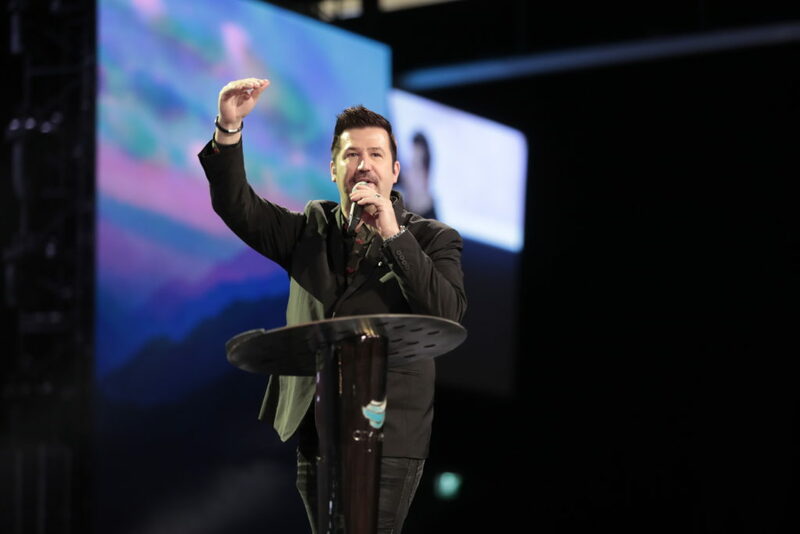 Dunn encouraged the church to focus on Jesus and find ways to bring others to Him, and closed his message with a powerful altar call for all feeling “stuck” and unable to move forward towards their “promised land”. Dunn’s wife Susan, who co-leads CHC US with her husband, spoke a prophetic word over Sun Ho, the co-founder of the church. Calling her a “Deborah” (Judges), Susan exhorted her to rise up and lead the people out of the wilderness.